Please fill out the quick form and we will be in touch with you faster than an axe hitting bullseye. 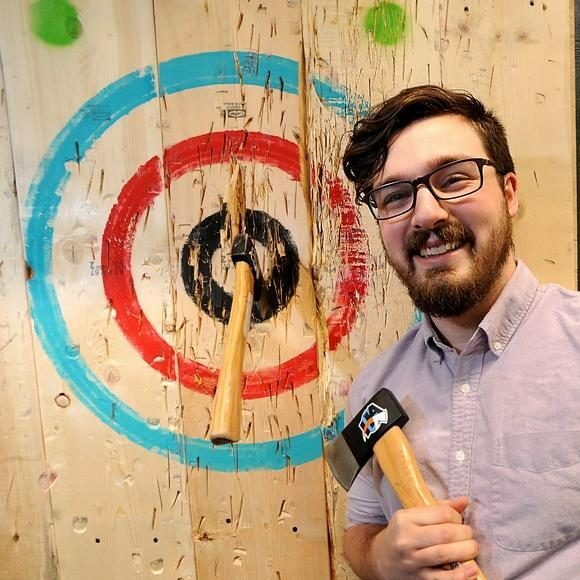 Half Axe is the premier axe throwing facility of New England. Founded by a father and son duo, we pride ourselves on our fun, safe, and energetic culture. Whether, you’ve never visited our location or are a regular, you’re sure to always have a great time. Just off the highway at the intersection of Rt 20 and I-495, we’re conveniently located on the fourth floor of the APEX Center of New England. There is always plenty to do! Not just axe throwing, there’s laser tag, go-karts, arcade games, bowling, trampolining, and more all under one roof. Oh, and don’t let us forget the bar located just downstairs as well as the numerous restaurants just outside.